I know I don’t usually cover Android apps, but Flipboard is one of my favorite apps on iOS and one of the few apps that I longed to see on Android. That it happens during my Android 30 day challenge is just awesome, that or someone really loves me. The app made its own limited debut last week at Samsung’s Galaxy S III unveiling in London and was billed as exclusive to the Galaxy S III. Except, nothing is exclusive when the boys from XDA Developers get involved as the 2.32MB APK hit XDA this morning and should install on any Android device. It’s a painless install, just head on over to XDA where XDA user Valcho has uploaded the .apk. If you’re using your smartphone, just hit the link and download the file straight to your browser and follow the prompt to install. Desktop users can email the file to their Dropbox accounts or load it up via usb cable. Whatever you have to do to get the file to the phone, just do it, this app is beautiful. I have little doubt that once Flipboard for Android is “officially” available for Android , this will climb right up the Google Play charts, it’s just that awesome. It’s great that you didn’t explain what the app does. Wonderful writing Dave! That’s why there is a link in the post to the last article which details it. I expect you guys to use a little effort as well! Pretty slick app on my iPad. Turns my favorite interests from the internet into an endless magazine and looks good doing it. Can’t say I like the Android app though because it’s cramped and nothing like a magazine. I wonder how it will look on a tablet though. It looks great on a tablet. I just downloaded it for my Transformer Prime. Awesome. Flips right to left like a mag right? Actually no.. it flips up and down unless there is some orientation setting I’m missing. It’s a slight adjustment for me (coming from the Pulse reader), but it’s still a gorgeous and fluid app. Actually, it’s more of a top down flip. Not side to side, which is what makes it original. Thanks guys. I’ll just keep the iPad version. Great app. Love it on the iPad. Will dl for my G2 while I’m still using Android. You DL it straight from XDA which is a great source. I DL’d the app and I’m not itching anywhere. I wouldn’t dare post anything that I thought could compromise your phone in any way. I hope everyone would know that, I would not intentionally do that. Like others said, XDA is safe. Security is tight there, on the site. If someone is up to no good, the admins or membership responds quite fast. I never downloaded flipboard for my iOS devices because I hardly carry them around with me anymore, but I must say, this app is every bit as awesome as David beams it is, I’m not sure why I didn’t download this before! works good on my nexxi !!! – YOUR Facebook and Twitter accounts. – Web pages on topics and subjects you select (and can deselect). Stuff such as politics, news, sports, technology, film, photography, business, etc. – Access to all the news, up-to-the-minute coverage. – Access to ALL websites that mean something in our lives (e.g. if your are a political junkie, access to Politico, Huffington Post, The Daily Kos). – A “search for anything” engine. It is basically the ONLY “aggregation” or “portal” app you need on your phone. WARNING: You can click the Flipboard icon and not get anything else done for the rest of the day. NOTE: That this is available for Android devices is BIG news, IMO. And being able to get it via XDA is today’s hot link, again IMO. – From your computer download the app via XDA. – Using your computer open g-mail. 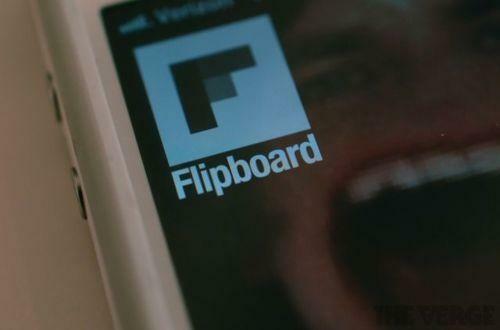 – Send yourself a g-mail, attaching the Flipboard app (that you just downloaded from XDA). On the “Unknown sources” menu item, make sure the box is checked. This tells Android to “Allow installation of non-Market applications.” If the box is already checked simply go back to your home screen. – G-mail will detect the app file attachment (Flipboard,apk) and automatically place an “Install” icon in the e-mail. – Simply click the “Install” icon and the app will install, just as if you were in Market or Play Store. I found out if you have Force GPU Rendering checked under developer options, the app is buggy. Unchecked everything works! Hope this helps someone.